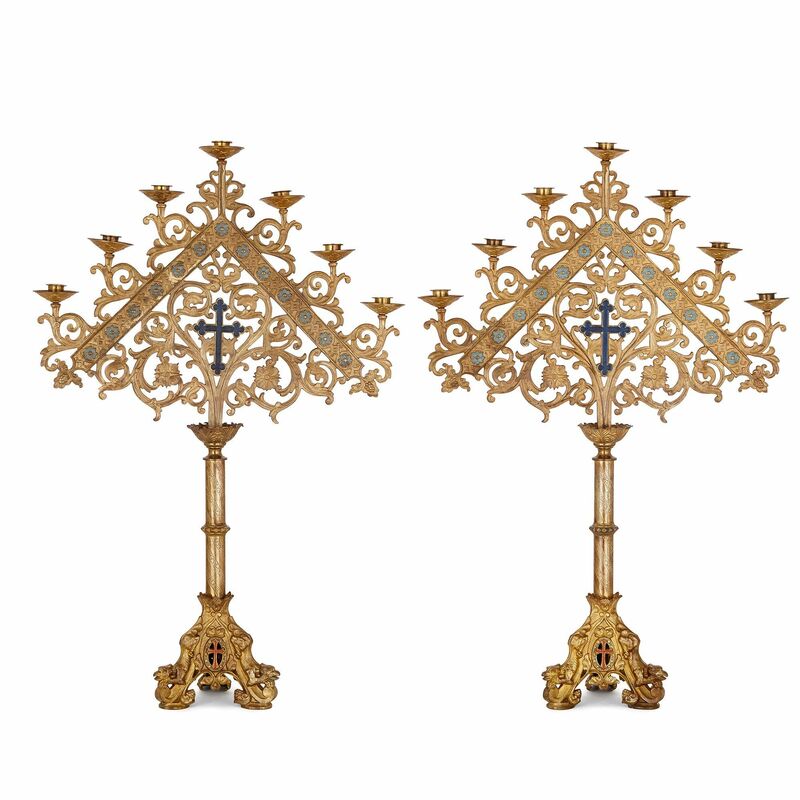 This decadent pair of ormolu candelabra embody the opulent spirit of the Baroque style, connecting religious devotion with drama and gleaming splendour. 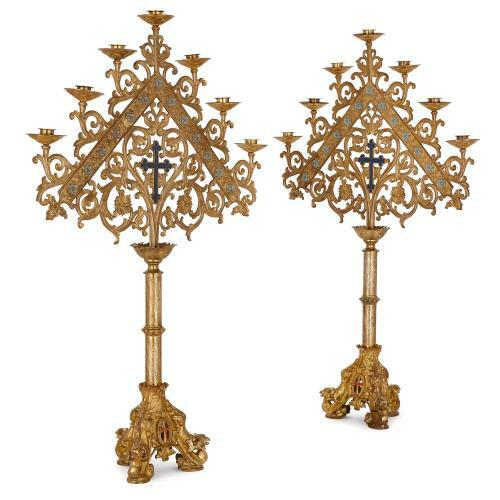 The large seven-light candelabra are crafted in ormolu, and are both surmounted with large, triangular lattices of scrolling acanthus leaves. 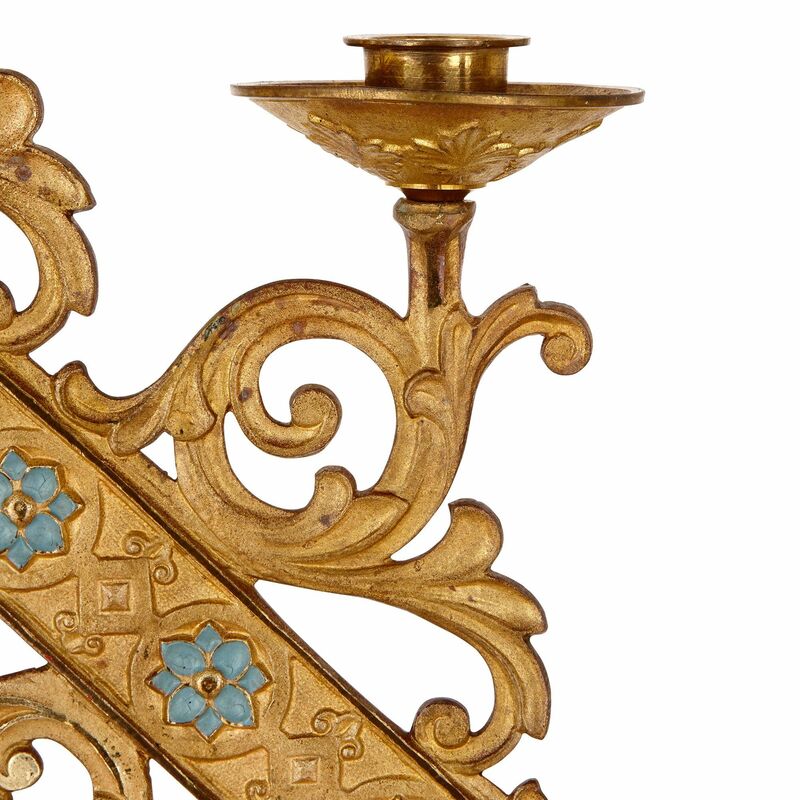 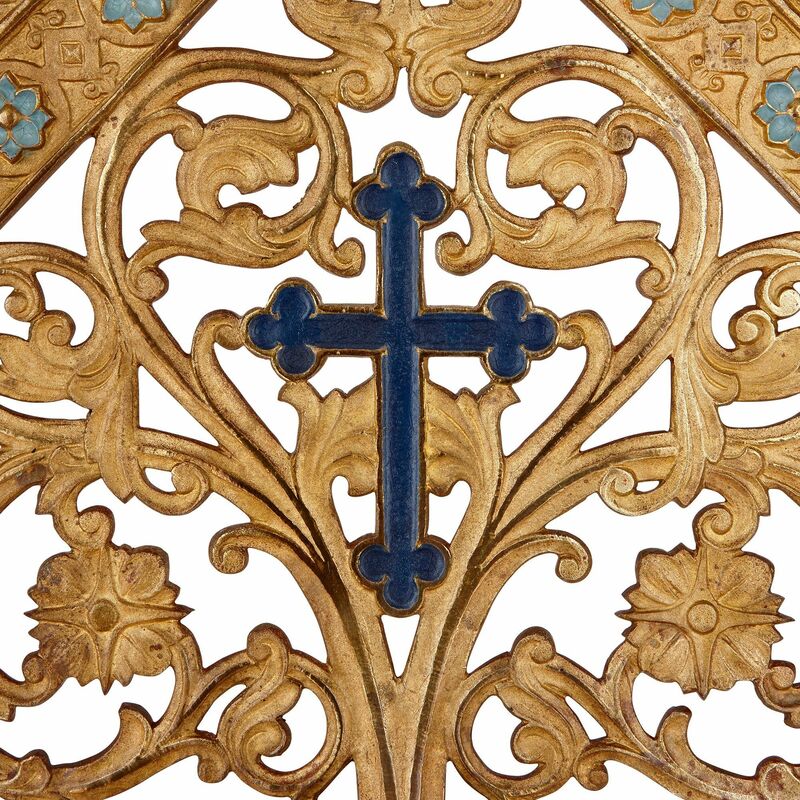 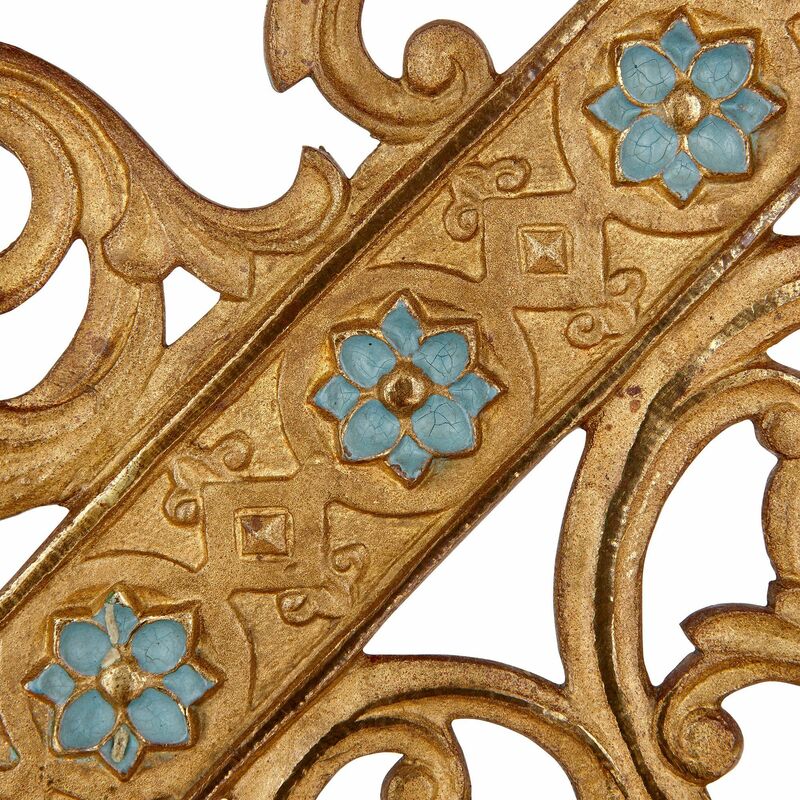 The lattices on each candelabrum unfurl from a solid, ormolu arrow shape that is delicately inlaid with enamelled flowers, and a central cross, which is enamelled in a rich, royal blue. 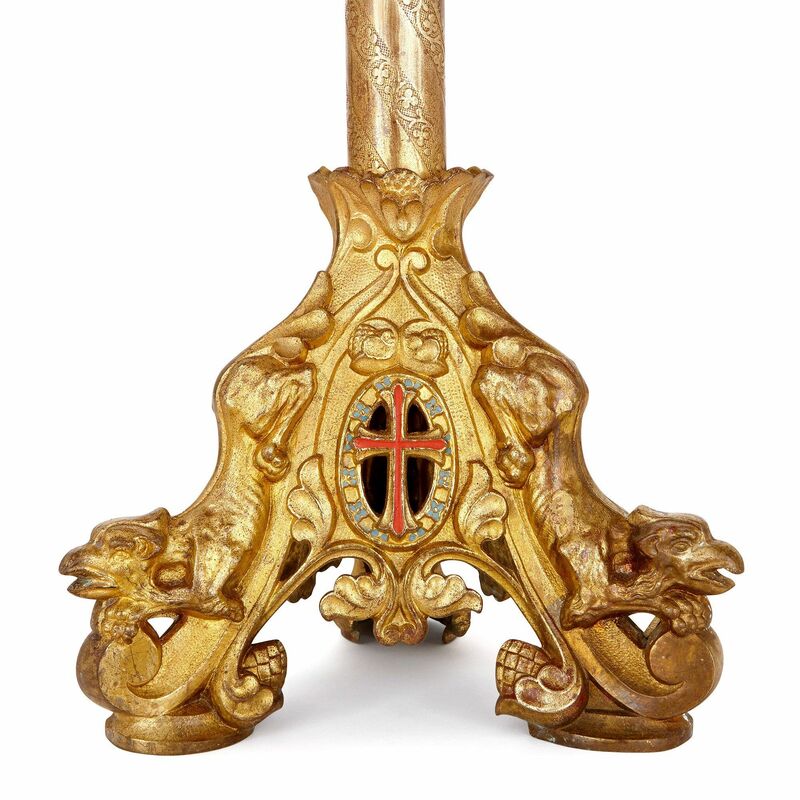 Both candelabra are topped with seven candle holders with drip pans. 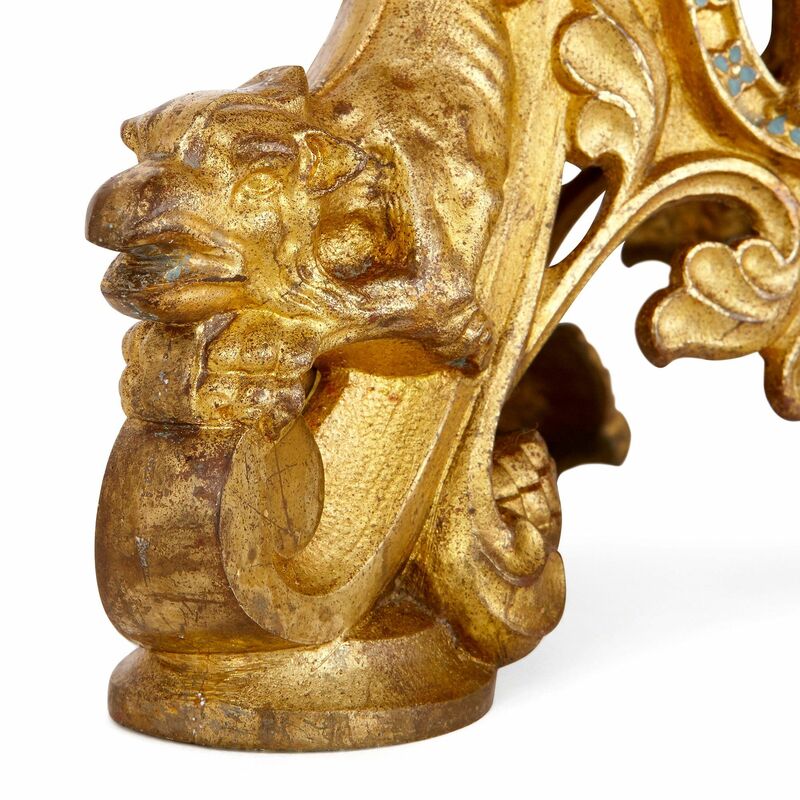 The lattices are set onto central ormolu column supports, which are engraved with twisted scrolling foliage, and terminate in tri-form feet of mythical beasts, which are exceptionally well-cast. This pair of candelabra offer a duality of purpose: they would enhance any luxury interior, or they could serve as a worship device on a well-appointed altar.